An Alabado are songs of praise that originate in New Mexico territory. The first arrive to the New World with the expedition of Juan de Oñate in the year 1598. How did the Jornado de Exódo Play arrive to the writer? My expertise is the translation of both written Spanish and Ladino Alabados that families ask that I translate into English. In the late summer of 2011, the play Jornado de Exódo-Journey of Exodus was asked to be translated. By definition, it is the ancient Jewish tradition of mystical interpretation of the Bible, first transmitted orally and using esoteric methods. The Hermano-Shepherds use of Kabbalah techniques to conceal themselves and writings in order to survive. It is a mystical commentary on the Torah, written in medieval Aramaic and medieval Hebrew. 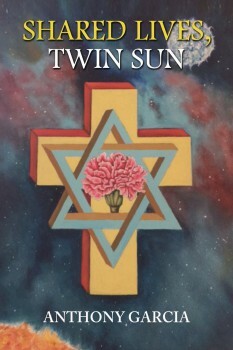 It contains a mystical discussion of the nature of God, the origin and structure of the universe, the nature of souls, sin, redemption, good and evil, and related topics. The Hermano-Shepherds use their organic knowledge of concealment techniques to conceal writings, music and philosophy of the Jornado de Exódo play. What is the Portal of Light? The Hermano-Shepherds were awaiting and trained to exclusively see the Portal of Light and can be described from the Zohar as the following: that light, distancing it to the center point surrounding point, so that there remainedGod contracted himself in the center, in the very center of the Light. He restricted a void, a hollow empty space, away from the central point. The Portal is elliptical in form, fluid and immeasurable, and the depth is unique; upon close examination it is a woven tapestry of light strands churning in all directions connected with each other to form this chain of light. The hermanos view this in the color of emerald green as it fluidly descends to mother earth. How do the Hermanos Follow the Portal of Light? In anticipation of the coming of the Emmanuel, they had been awaiting the Portal of Light to appear along with the location under the constellation Swordfish. Locating the Portal coming from the 4th Dimension, they begin their journey with sheep down vast mountainous pathways and ravines. Cabbalists goal was to harmonize the Kabbalah with Christin doctrine in order to prevent the mass deportation and slaughter of the Judaic community. These concepts were declined by the Spanish church. Yes, we will be sponsoring a Judaic-Christian conference to discuss affects of the Inquisition, for too long now, this issue has been “swept under the rug”. An open and direct dialogue will take place to discuss this historical matter that has never been discussed in an open forum.